Let’s speak the truth – we’ve all had at least one bad hair day in our life. Some are mild, but some can be severe, and they all get on our nerves. 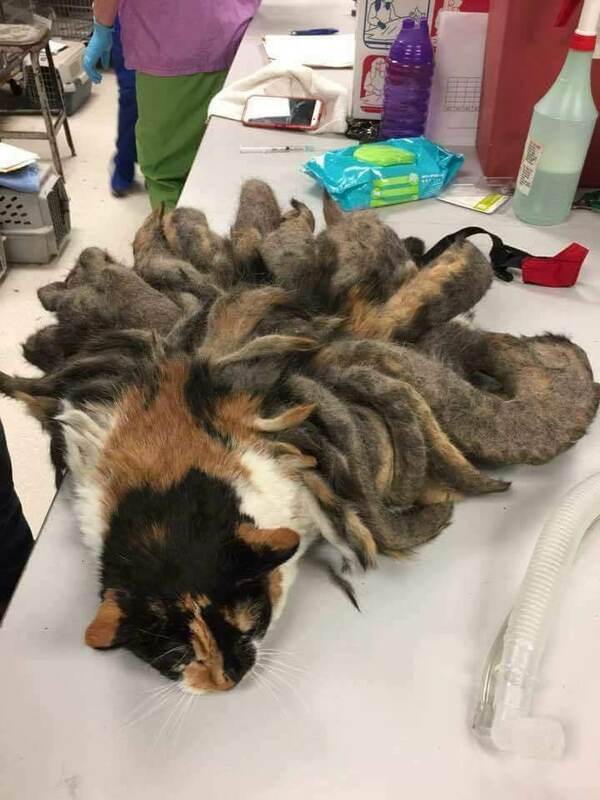 Unfortunately for Hidey the cat, her bad hair day seems to last forever. Hidey has recently been rescued from the streets of Philadelphia. 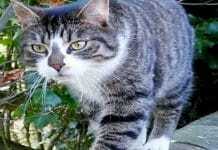 Her, to put it mildly, strange fur made the people who found her investigate the matter. Hidey’s hairs were too long and the hairs were incredibly tangled and full of feces. 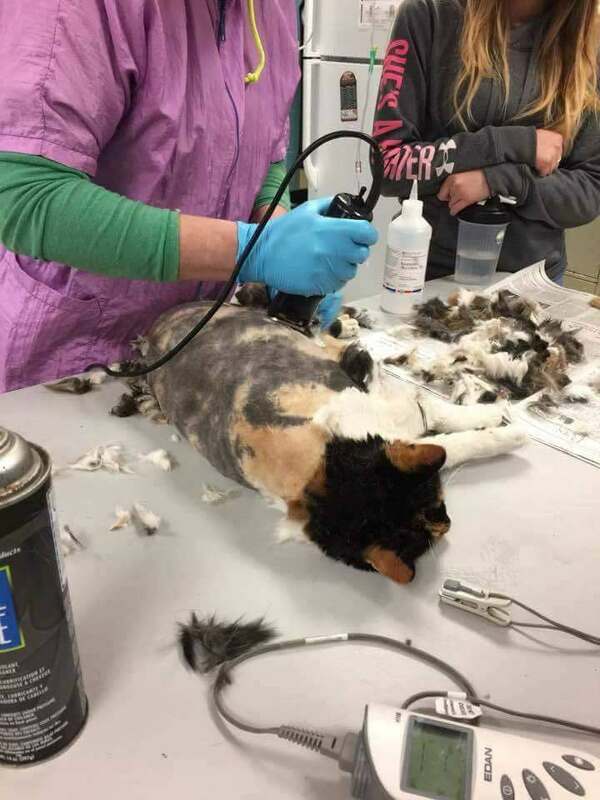 This made the poor kitty unable to walk and unless she was found, she would’ve died for sure. Luckily for Hidey, she was taken to a a wildlife shelter where vets removed the matted hair and gave her another chance to live. 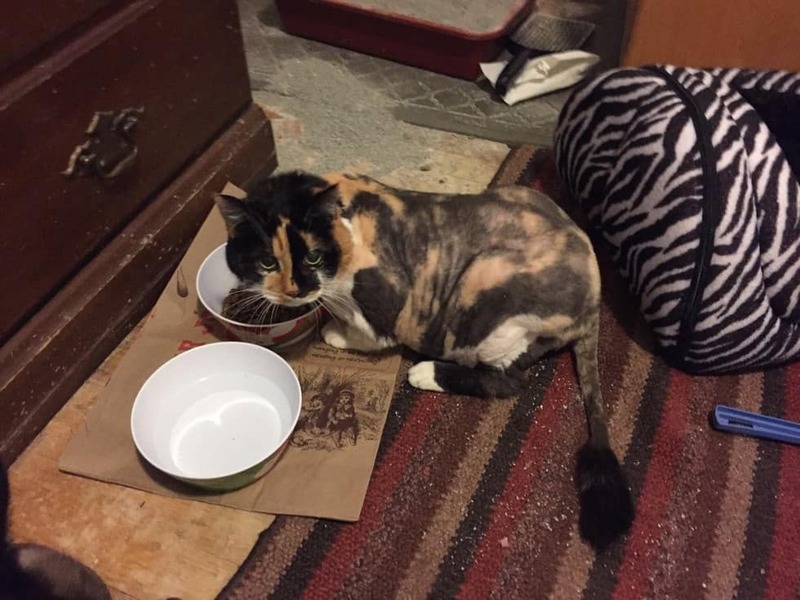 The ‘dreadlocks’ were finally removed and under them there was a beautiful cat. 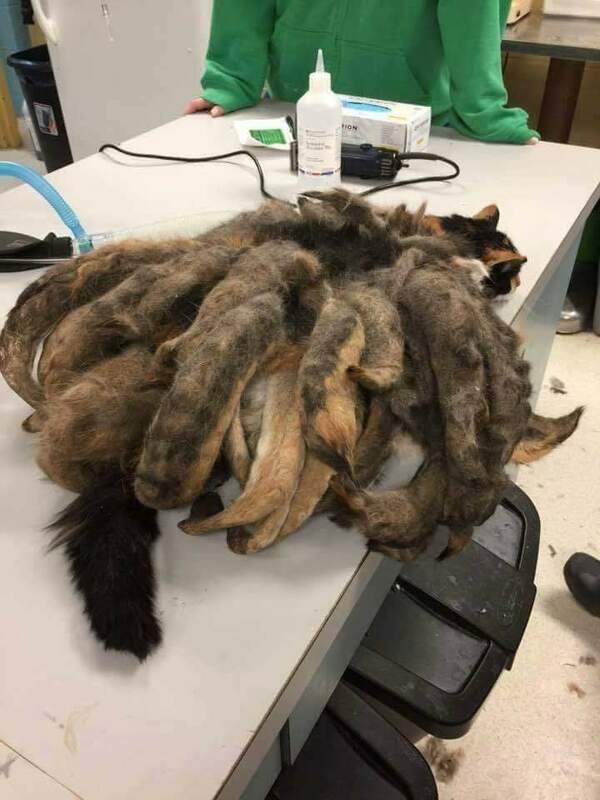 The neglected cat found on the streets of Pennsylvania had strange ‘deadlocks’ on her fur. The hairs were 6-8 inches long and were full of feces. 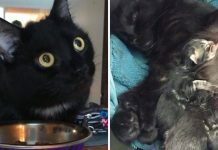 After she was brought to the shelter, Hidey was immediately treated. 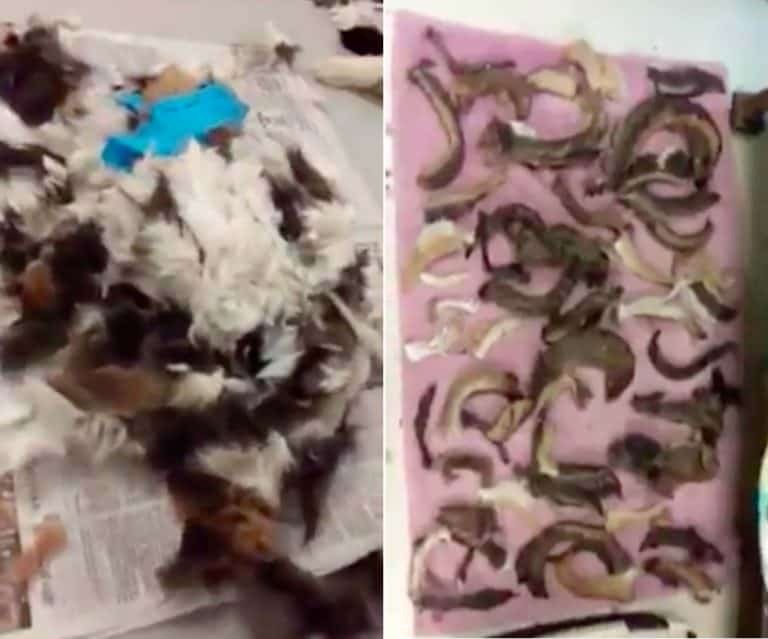 The matted hairs were removed after a few hours and the cat was shaved. Fortunately for Hidey, she’s going to make a full recovery. If her fur stayed like that for a bit longer, she wouldn’t have survived. 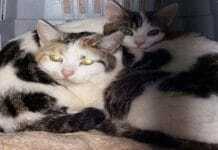 Hidey will be cared for by a distant relative of her previous owner. She’s been given a second chance at life and we have no doubt she’ll use it properly.